HAVEN Cast, Celebrity and Fan Fest: A Comic-Con opening celebration featuring the cast of Entertainment One's Syfy hit television series Haven in downtown San Diego during Comic-Con International: San Diego. 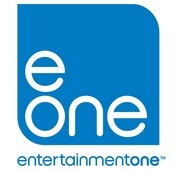 Cast members and other celebrities will be on the red carpet and mingling with guests during this celebration, hosted by Entertainment One. Event will feature specialty drinks compliments of sponsor Wild Turkey. On the corner of 6th St. and Market St.
Thursday, July 18, 8 p.m. to 11 p.m.
Drama/crime series Haven on the Syfy Channel is based on "The Colorado Kid" from famed author Stephen King. Haven, Maine is a refuge town for people with supernatural abilities; the supernatural thriller leaves Haven's residents and FBI agent Audrey Parker (Emily Rose) solving strange mysteries that surround the area. Her work reveals hidden secrets about Haven and herself.